Carolyn "Carol" Williams, 64, of Franklin passed away Wednesday, January 17, 2019 after a lengthy battle with cancer. Carol was born to the late Eddie Lee and Katie Lee Costley. Carol was a long time waitress and cook at the Huddle House. A loving mother to her children and grandchildren. A loving wife to her late husband, Joseph Williams for 26 years. A friend to many. A companion to Vince "Toby" Edwards. She will be missed by all. 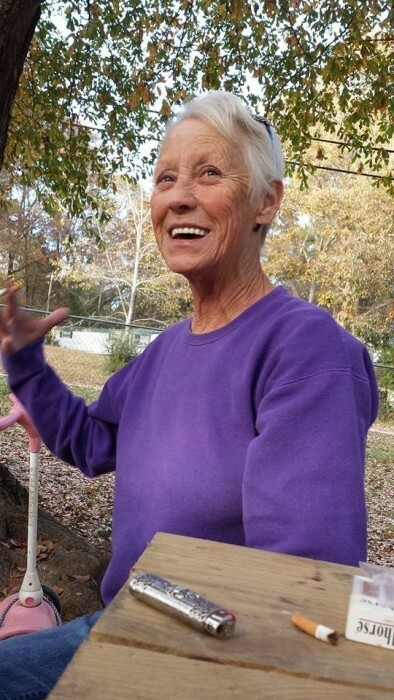 Carol is survived by her children, Dede Eidson (Roger), Virgil Ferrell Sr., Stacie Williams, and Michelle "The Baby" Williams (Sydney); grandchildren, Michael Watts, Jacob Hancock, Stephanie Harris, James Pettus,William Ferrell, Katie Ferrell, Randy Kittle Jr., Nicholas Kittle, Virgil "VJ" Ferrell Jr., Zoe Ferrell, Stephen Ferrell, Cheyenne Ferrell, Kaleb Looper, Kylie Thompson, Ava Williams, Jay Williams and Brooklynn Williams; great-grandchildren McKallion Watts, Liam Pettus, Brayden Pettus and Kaden Shiver Jr.; sister, Joyce (Gene) Knight; brother, Richard (Sue) Swanson. Hutcheson's Memorial Chapel & Crematory of Buchanan has charge of the cremation arrangements.